When you speak with someone who was a flight instructor in the 1990s, you find that their experience was radically different from the experience that an instructor today enjoys. Back in the day, flight instructors often had to sweep the hangar, “sell” prospects on discovery flights, work strange hours, or drive long distances from airport to airport to accommodate the rare student. Today, it’s a different ball game. This past May, the Washington Post reported that Pilot-Hungry Airlines are Raiding Flight Schools. 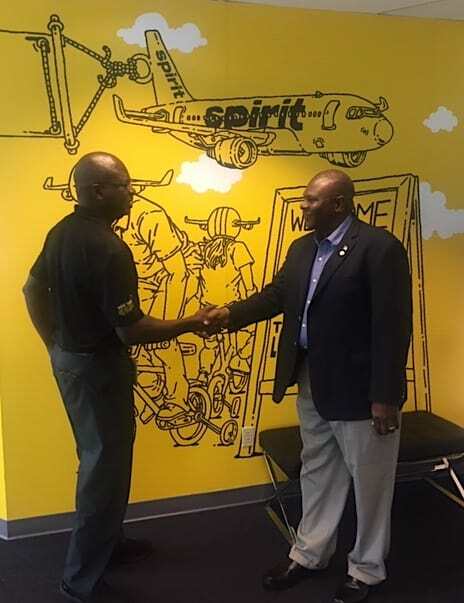 As more and more senior airline Captains and First Officers retire from major airlines due to the FAA-mandated age limit of 65 years, professional pilots from all walks of life are being recruited to backfill the ranks. Regional airlines often give hiring and retention bonuses of up to $50,000 to new recruits. In years past, a Flight Instructor would often have to work for years in a myriad of flying roles before he or she got the opportunity to fly a turboprop or turbojet powered aircraft for a small airline or freight company. Even when they did land a job with a regional airline, it was at a wage that would surprise most people not familiar with the industry at that time. Today, Instructors are being hired away as soon as their FAA licensing and flight time requirements are met. They are being paid a liveable wage from day one and have bright prospects for their future. At AeroStar we understand the industry is changing rapidly and accordingly, the value of our flight instructors. Our culture of high quality training and professional mentorship is how we’ve earned our reputation over the past ten years. Aspiring pilots can begin their training with Aerostar – from their initial discovery flight through their private pilot rating, instrument, multiengine, commercial, ATP-CTP certification, and of course, type ratings; all at one campus location. Students who invest in their training with us will be considered to fit our growing family of CFIs. 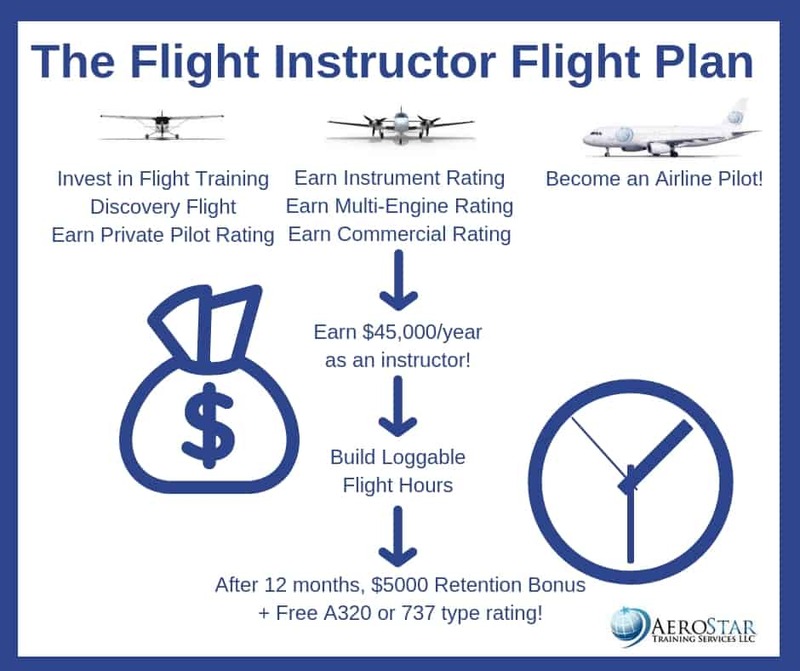 Invest in initial flight training with AeroStar. 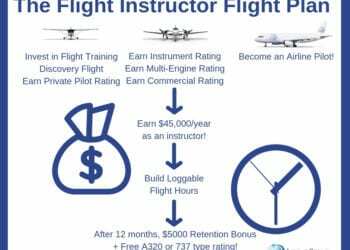 Earn your Private Pilot rating, and continue to earn your instrument, multiengine, commercial and CFI ratings. Apply, and be selected for, one of our respected CFI positions with a starting salary of $45,000 per year. Help other students learn as you build loggable flight hours toward your career goals! You’ll leave AeroStar with the best possible training, PLUS valuable job experience working with an amazing team. Aerostar has long been known as a leading provider for ATP-CTP certification, as well as the popular Boeing 737 and Airbus 320 type ratings. These two aircraft types are widely used by airlines in the United States as well as international markets. AeroStar is one of the very first organizations in which a student can travel the whole journey from aspiring pilot taking a discovery flight, to working CFI building time and earning a good salary, to an ATP-CTP rated airline first officer candidate with a A320 or B737 type rating. KISSIMMEE, FL. 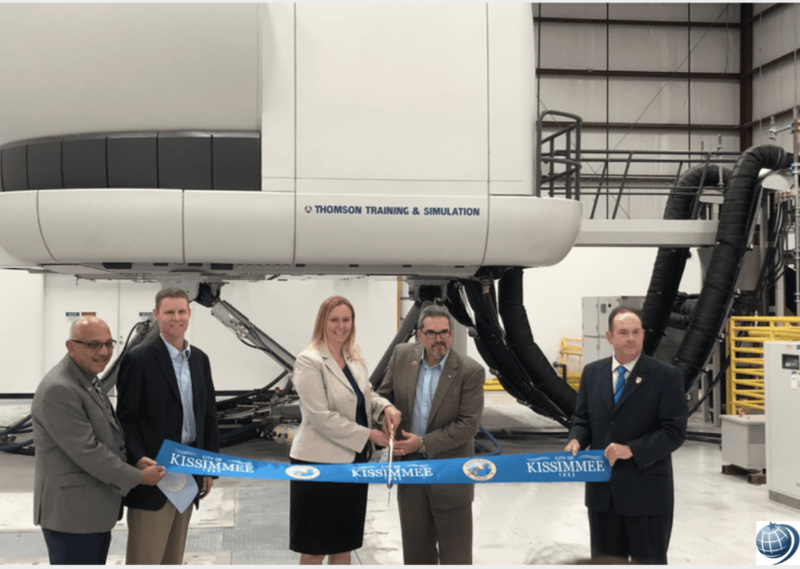 August 30, 2018 — AeroStar Training Services, LLC (“ATS”) announces that it has acquired lease financing for a B737 NG full flight simulator to be installed in the company’s Kissimmee Training Center. The lease financing was obtained through Simulator Equipment Financing, LLC (“SEF”). The simulator is projected to be certified and ready for training in early 2019. Pilot Training Financing Program Now Available! We are now offering domestic pilots an option for flight training financing if assistance is needed. Students may apply at http://p2credit.com/ and find out within seconds if they qualify. We have two participating lenders with a very high approval rate for good credit and near prime credit. After applying, you will receive funds within 24-48 hours to pay for the training tuition. State Available – All 50 US states except for MS and NV. States available – AL, AK, AZ, CA, DC, DE, GA, FL, IL, IN, KS, KY, MI, MN, MS, MO, MT, NE, NC, NJ, NM, OH, OK, OR, PA, SD, TN, TX, UT, VA and WA. Why Choose AeroStar for a Type Rating? AeroStar allows you to GET A TYPE RATING FAST ! You can get an Airbus or BoeingType Rating in as little as 10 days! Our unique Distant Learning courses by AvSoft allow you to complete most of the ground school requirements on your personal computer at your pace on your time. 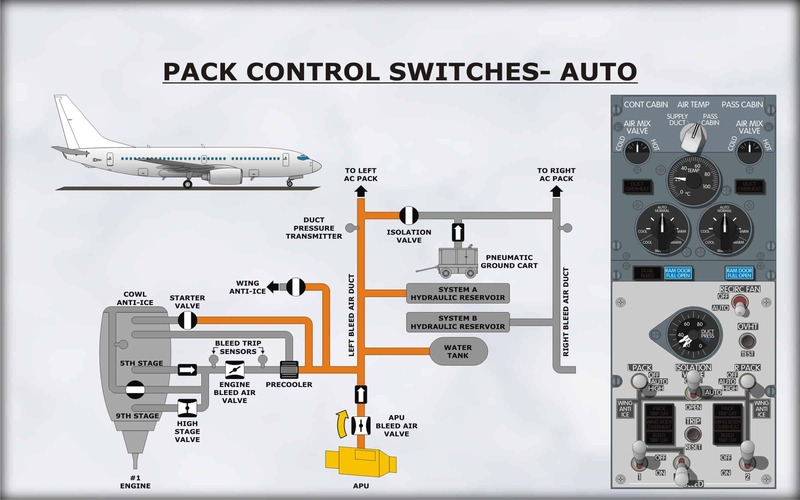 AvSoft’s courses explore all the major aircraft systems of the A320 and B737, including all the components, operations, controls, and indications involved with each system. New FMS Trainers for A320 and B737 Type Ratings from ECA Group Flight Management System Trainers (FMS) offer a free play and accurate simulation for a cost effective pricing, bringing a great added value before entering into simulators expensive sessions. 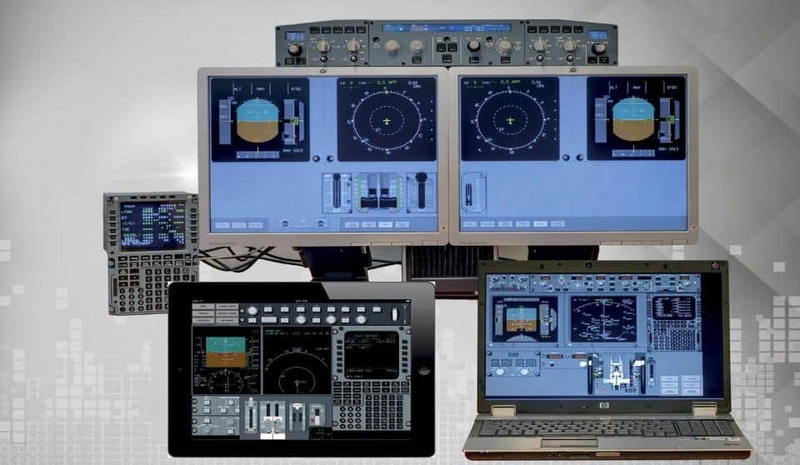 Pilots’ transition to complex aircraft flight management system is smoothly performed thanks to an easy-to-use interface and a complete set of available functions. AeroStar’s Instructor Team is comprised solely of highly experienced Airbus and Boeing pilots who have logged thousands of hours both flying and teaching these unique aircraft. Our instructors have been selected to join the AeroStar training team because of their passion for providing personalized training and their ability to help customers succeed. The Most Important Reason to choose AeroStar is the people on our team, all of whom are dedicated to the success of your aviation career. We do more than provide flight training – we put a powerful group of professionals with aviation experience on your side! A type rating certification is the most important credentials a pilot should acquire if they want a career as an airline pilot. A type rating is necessary certification for flying a commercial jet. Having a type rating provides a pilot the necessary competencies to operate an aircraft and provide the pilot with a comprehensive knowledge of the systems and skills required on a specific kind of jet aircraft. In the world of commercial aviation, the Airbus A320 (A320) is one of the most frequently used aircraft. Here we discuss why investing in an A320 Type Rating with AeroStar Training Services proves to be advantageous for current Airline Transport Pilots and future ATP pilots. 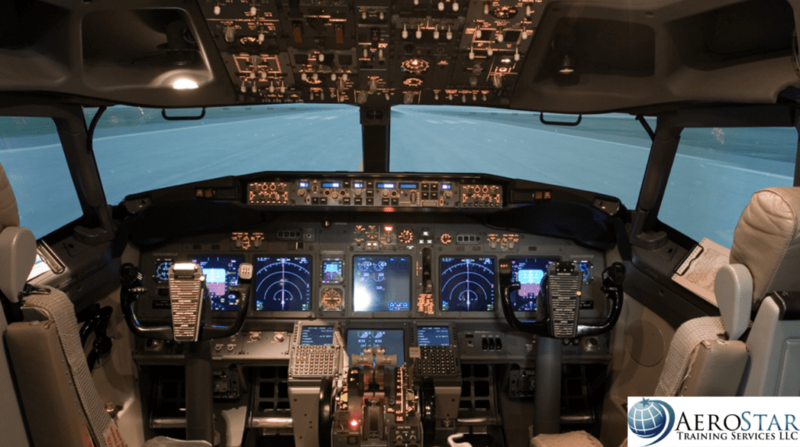 Aerostar Training Services in Orlando, Florida operates simulation training centers and provides aircraft type ratings, namely the Airbus A320 & the Boeing 737 Classic & NG versions. 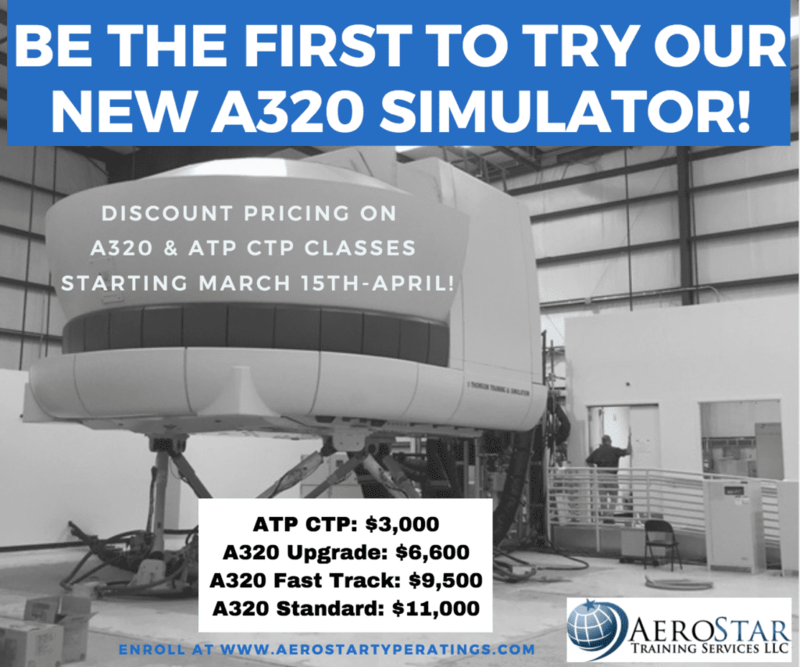 Aerostar offers Jet Transition Training, the ATP CTP, and Type Ratings. 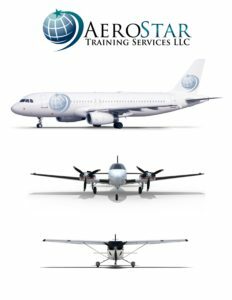 AeroStar Training Services offers training courses that will allow you to navigate an Airbus 320 as well as the A318, A319 & A321 series of aircraft. The Airbus A320 series ranked as the world’s fastest-selling jet airliner and as the best-selling single-generation aircraft program. 6,157 aircraft are currently in service. Another 5,099 airliners are on firm order. AeroStar is the world leader in ATP CTP and Type Rating Training and is now offering an A320 Type Rating. A320 Type Rating Training at AeroStar provides a thorough understanding of the Airbus A318, A319, A320 & A321 series of aircraft. Part of the process in acquiring a type rating is going through a comprehensive training course. These programs are designed to equip pilots with capabilities in handling complex aircraft systems and instruments. At AeroStar, that training includes ground school, fixed base simulator training and full flight simulator training in an FAA certified Level D Airbus A320 Full Flight Simulator. One advantage of this particular type of training is that it not only equips pilots with advanced knowledge on flight, it also provides pilots a comprehensive understanding on the demands of the role of an airline pilot. The AeroStar A320 simulators replicate the cockpit of its namesake and even replicate all weather operations, routes and technical problems, preparing pilots for everything they can expect in their future careers. 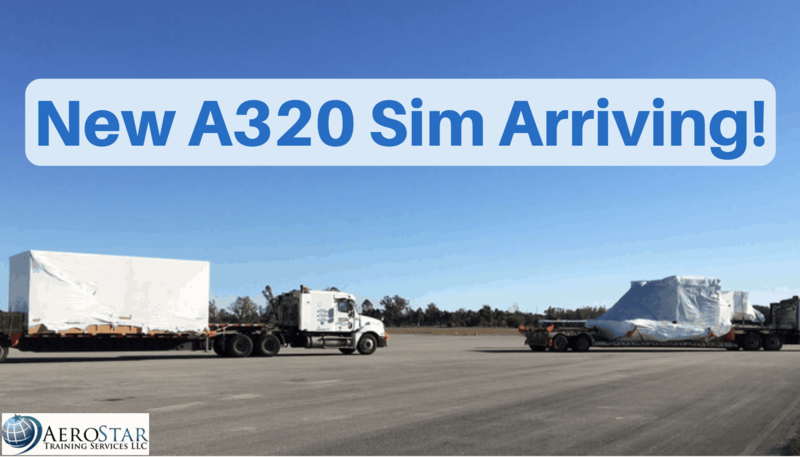 An A320 type rating facilitates easier transition to a different type. The various aircrafts in the Airbus family share a number of similarities in terms of cockpit layout, handling characteristics and system operations. For example, a cadet with an A320 type rating would find it easier to cross certify over to the double decker Airbus A380, which is primarily used for long-haul flights. 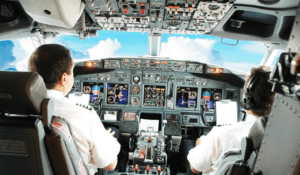 AeroStar offers the A320 Standard Type Rating which is perfect for the first time jet pilot or those who prefer the benefit of instructor lead classroom training. The course requires approximately three weeks to complete and includes 9 days of ground school/labs with a blend of lecture, virtual flight, and CBT training. Tailored recurrent programs are available upon request ranging from two to five days. Pilots with an A320 Type Rating will usually end up being hired almost immediately with an airline or possibly the A318 business jet version. A320 pilots are very passionate about their profession and love flying airplanes. Of everyone I know in all kinds of different professions, no one enjoys their job as much as I do. And likely, if you do meet your career aspirations of becoming an airline pilot, you will realize the same thing. There are few things better in life than going to work and actually enjoying what you do. The job is always different, it’s stimulating, interesting, and can be extremely rewarding. Frankly, it’s probably one of the coolest jobs anyone could ever have short of being a brain surgeon or an astronaut ???? The schedule flexibility, especially the flexibility afforded to senior A320 pilots, can be extremely beneficial. Airline pilots don’t work the typical 9 to 5 schedule that many other professionals work. Very often, pilots have groups of days where they are “ON” and have groups of days off where they are “OFF.” The quantity and the quality of these ON/OFF days are usually determined by one thing- seniority. A moderately senior pilot can have sometimes 18 days off, with these days off grouped together in a manner that would allow weekends and holidays off, or perhaps long stretches of time off by grouping “OFF” days together. There are very few jobs that offer that type of flexibility. Of course, you have to be senior enough to take advantage of these scheduling abilities. For lower time ATP or Airline Transport Pilots pay is very low, especially during the early several years of one’s career with a regional airline. However, for Airbus A320 pilots, the career can be very lucrative. It is possible, after many years of service, to earn high salaries sometimes well north of $100,000 per year. Some airlines still have pensions, now becoming extinct in other industries, so becoming employed by one of these carriers could be financially beneficial to your retirement. If you love to travel, then flying the A320 is the job for you. 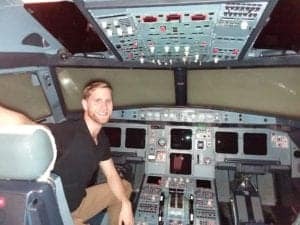 Not only will you have the opportunity to “see the world” on your company’s dime as you “work for the man” as an Airbus A320 pilot, but you also will enjoy travel benefits, like inexpensive space available seating to wherever your airline flies, or discounted airline tickets for you, your family, and your parents. Now I’ll be the first to tell you that the travel benefits aren’t as good as they used to be just 10 years ago, but for the most part they are usable if you travel smart. And if you’re traveling alone as a pilot, you’ll have access to the jump seat(s) in the cockpit of both your airline and other airlines, usually for free. With this benefit, you can travel virtually anywhere in the world on your own. Just as pilots usually love their jobs, you’ll find that the other professionals you work with enjoy theirs, too. You’ll meet many different people, cultures, and their associated ideas. There are few things more enjoyable than flying with a group of people who love their jobs and the airline biz. 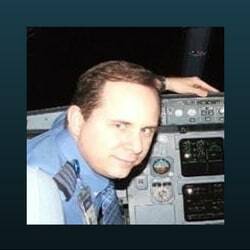 Since pilots can fly very inexpensively on their own airline, or use the pilot-exclusive cockpit jump seats on their own carrier or just about any other carrier for free, many pilots choose to live outside of the city they are based in with their airline. For example, a Chicago based pilot could live in Florida if he or she desires. As long as the pilot allows enough time to fly from their home to their airline’s domicile to begin their trips, it’s perfectly acceptable to commute and live wherever you choose. Some pilots, however, would find such a commute stressful and undesirable so therefore chose to live in their assigned domicile. Regardless, the pilot can choose to live “in base” or anywhere else, as desired. Few jobs offer that type of flexibility. This is more for career changers, but unlike other professions where once you hit a “certain age” it becomes more and more difficult to find employment, in the airline business the airlines don’t really seem to care how old one is. In particular, during the short periods of time of airline economic growth where regional airlines get desperate for anyone to take their low paying, low quality, entry-level jobs, they’ll hire just about anyone who meets minimum qualifications. You could be 60 years old for all they care. If you meet their minimum requirements and can withstand the financially difficult regional airline first officer lifestyle, the job will likely be yours! Many professionals, even when at home, are still chained to their company. Even on days off, they still may be required to answer e-mails, texts, or phone calls. Typically when you set the parking brake on the last leg of your last day, that’s it. You don’t take your job home with you. There may be some times where you might have to do a little “homework” for the job (like preparing for your check rides or upgrades) but again, for the most part, unless you’re on call you are not required to answer your phone or be “available” to the company.